The sport is played by women of all ages, starting in school. The historic successes of the Peruvian women's volleyball team have also contributed greatly to national pride and further increased the popularity of the sport in the South American country. In 2012, Peru won the South American Youth Championship, which was held in Lima, celebrating their first continental title in 32 years. 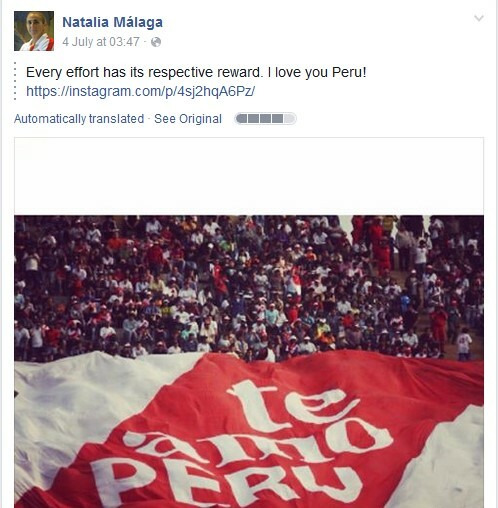 At the end of the year, coach Natalia Malaga topped a national poll for personality of the year, ahead of Peru’s first lady, Nadine Heredia, and Mario Vargas Llosa, the country’s Nobel Prize for Literature. The same was true during the national team's most successful period in the 1980s. The key event was the 1982 FIVB World Championship in Peru, at which the hosts sensationally won silver. With an average height of just 1.73m, the Peruvian players claimed their country’s greatest international sporting success, guided by Korean coach Man-Bok Park. The likes of Cecilia Tait, Gina Torrealva and Denise Fajardo were household names across Peru. The absolute highlight was the semifinal against USA, who had totally dominated the tournament up to that point. 14,000 spectators were whipped into a frenzy to create an incredible atmosphere. The US players couldn't hear each other, nor any of the instructions from their coach. Peru pulled off a sensational 3-0 victory - they were brought back down to earth after a 0-3 (1-15, 5-15, 11-15) defeat to China in the final. Four years later in the Czech Republic, the women from the Andes proved that their success had not been a matter of chance. While there was a replay of the 1982 final in the semifinals with a conclusive 0-3 defeat to China, outstanding left-hander Cecilia Tait and her team beat the surprise team, the GDR, 3-1 in the third place playoff. The end of a great era was capped with silver at the Olympic Games in Seoul in 1988. The glory days, however, have passed. Peru missed out on qualifying for the last World Championship and Olympic Games and the country's women's team are only ranked 23rd in the world. There are some promising signs, however. This year, the national team only narrowly missed out on being promoted to the next category up in the FIVB Volleyball World Grand Prix, when they finished second in Group 3 after losing to Kenya in the final. The junior team has also enjoyed success. 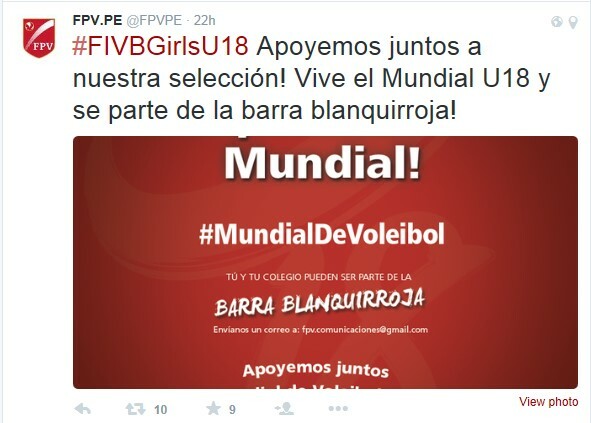 In 2013, Peru narrowly missed out on a historic first medal at the FIVB Girls' U18 World Championships when they finished fourth. This time around, they are hoping to achieve more. The team have prepared for the event in Japan and Italy, among other countries, and hope to use the advantage of playing at home at venues in Lima and Callao to storm the podium.